Progressive Battle Cry: Tax The Rich! Tax The Rich! How’s It Working Out? New York’s projected income tax is $2.3 billion short of estimates. Governor Cuomo cited a need for more taxes. “Tax the rich, tax the rich, tax the rich. We did that. 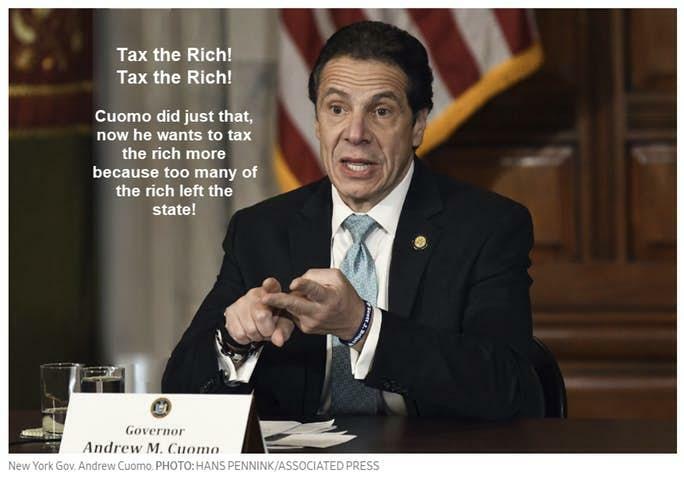 God forbid the rich leave,” said New York Governor Cuomo. Well they did leave and his solution, of course, is to raise taxes.